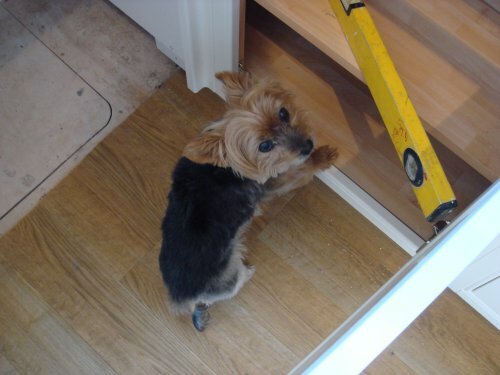 As our regular viewers know bubsydogdiy.com took over the DIY side of things recently so that cosyhomesonline.com could concentrate on the restoration projects. It's been a while since we caught her 'working' on camera but here she is checking out out the levels...probably making sure she can still reach the sweetie jar!! Well she will be a busy girl as she's starting a regular DIY column in First Time Buyer Magazine to help everyone save those pennies and tackle some simple tasks in their new home. So any questions, do let her know!